Create a list of your mp3 s.
Include info of your choice (size, time, bitrate, stereo mode, path, date, etc). Save in internal format or export as text, html, xls or m3u. Import lists created by other applications. Find duplicates in your list. Compare your list to other people s lists (find out what others have that you don t, and the opposite). Insert & edit items. Plenty options to satisfy almost everyone. Register 3 programs for the price of one (this one, mp3 frame editor, and mp3 frame remover). 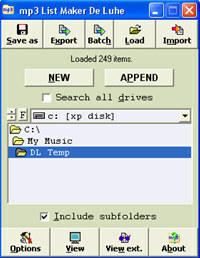 Mp3 List Maker De Luhe is an audio utility that works under windows xp, windows vista and windows 7. It supports both 32-bit & 64-bit windows editions, therefore it could run faster on 64-bit computers. Estimated download time for Mp3 List Maker De Luhe on a common adsl connection is less than a minute. 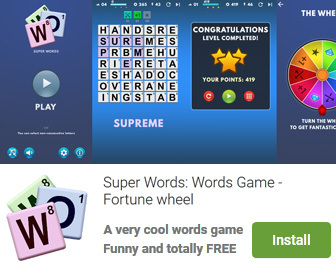 Version 5.6 was released one thousand one hundred thirty four days ago by Miodrag Malovic. Click the green download button to download it now.